My boys are 5 and 2 and love Peter Rabbit! 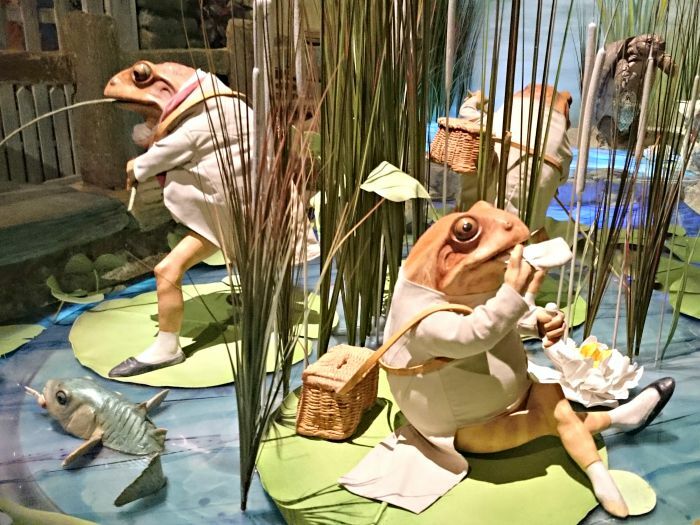 They love watching the Peter Rabbit TV show on Cbeebies, so we knew they would enjoy visiting the World of Beatrix Potter in Bowness-on-Windermere where they could meet their hero and his friends. 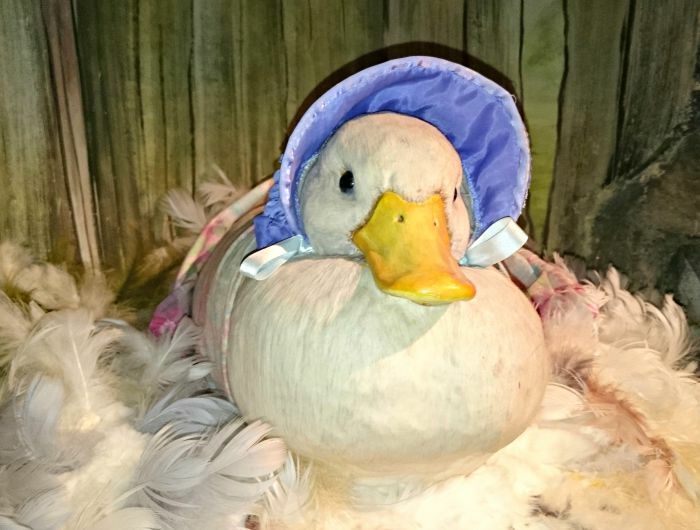 The World of Beatrix Potter is 35 – 40 mins from Holgates Silverdale Holiday Park where we were staying. It is located in the busy town of Bowness-on-Windermere across the road from a Pay and Display car park. 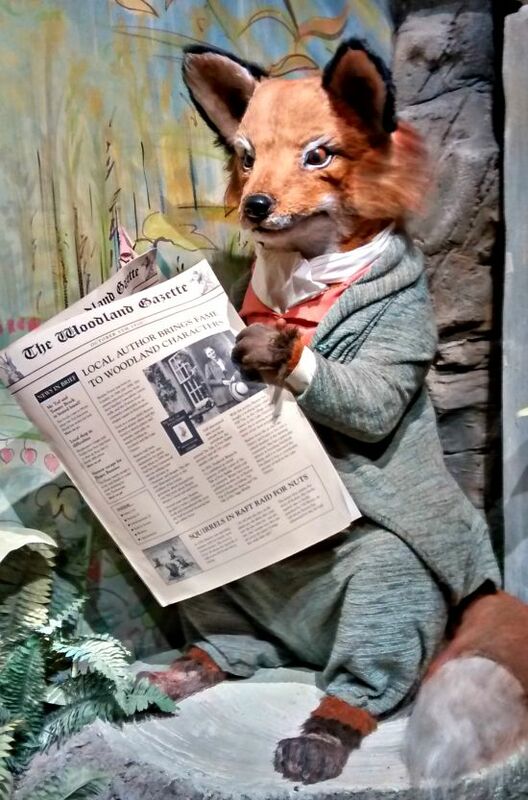 The attraction starts with a 5 minute video about Beatrix Potter, her life and the inspiration behind the books she wrote. It then leads into a walk through exhibition area where you can see wonderful displays of the characters from her books. These are beautifully crafted, and some of them are animated which they boys loved watching. 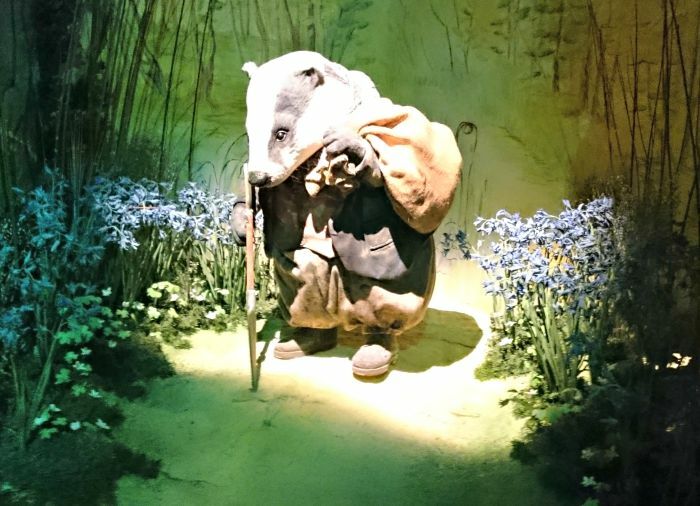 They saw Peter Rabbit’s Mum and sisters, Mrs Tiggywinkle, Jeremy Fisher and of course Mr Todd and Tommy Brock! 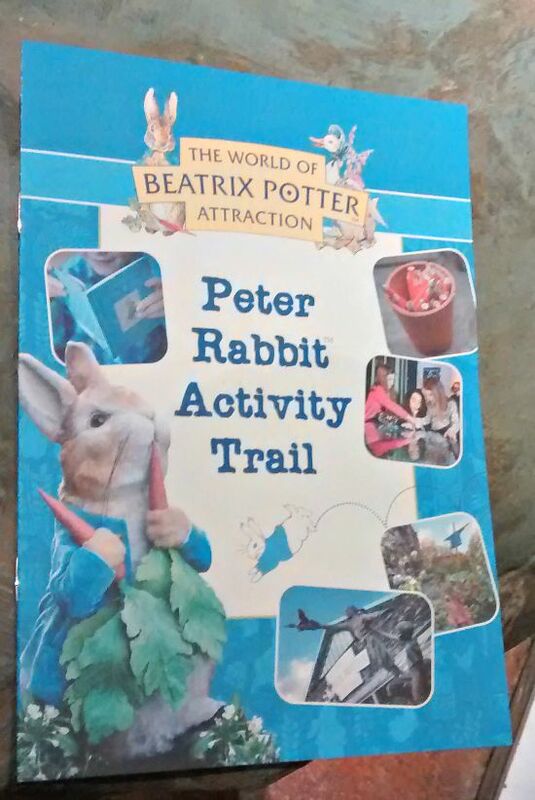 We were given a Peter Rabbit Activity Trail book with our tickets so Matthew had great fun completing this when we went around. 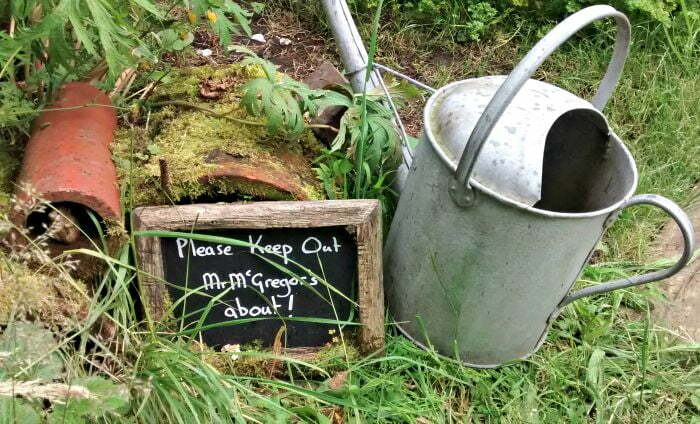 One of our favourite bits was Mr MacGregor’s garden. This outdoor area has been carefully designed and featured all the vegetables and plants featured in the books. There was even Peter Rabbit’s blue coat hanging in the garden! There are regular Peter Rabbit Tea Parties which I would have like to take my boys to if they had been on at the same time we were there. These happen quite regularly and children can have their lunch with Peter and his friends. Parking – Bowness on Windermere gets really busy so get there early. We parked across the road at the Pay and Display car park – this cost £3 for 2 hours, £4 for 3 hours and it takes credit card in case you don’t have cash! Price – Adults cost £6.95 each and children are £3.95. Under 2’s are free. Guidebooks are available for £1.50. 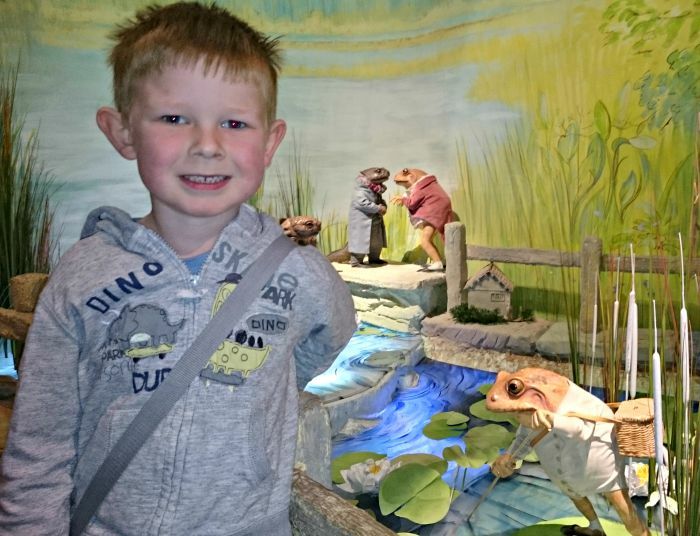 Buggies – The attraction is suitable for buggies, but the walk round display is quite small so I wouldn’t advise taking a buggy if possible. I think you will be better with a baby carrier. There are baby change facilities.